All accounts include unlimited downloads. Compared to Shutterstock, whose cheapest subscription is $200+/month for 25 images/day with a limited license, this is a bargain! Click here to check out Kozzi's gorgeous royalty free image collection! How many images and videos are available at Kozzi? 60,000 63,000+ at last count, that includes photos, vectors, illustrations and videos. They also add new images regularly to their collection. What is the difference between free and paid accounts? The difference is in the use, with a free account you can download and use images and videos only for non-commercial purposes. That means you can use them for everything that isn't geared towards making you money, nor directly, nor indirectly. So, using images and videos for your personal blog, that doesn't carry any ads nor does make money, nor intends to make any money in any way, is fine. Using the same image for a Wizzley article requires having a paid account. How much is the paid account? Hold your breath! A paid account starts at $4.61/ month for unlimited downloads of photos, clip-art and videos, which is deadly cheap compared to other stock image sites - believe me! And you can use all files, images and videos alike, on your own commercial website or on a client's project! As I stated above, that is the cheapest subscription for royalty free stock images and videos that I know of. Why is 'exclusive to Kozzi' important? Basically it means that you will not find these images and videos elsewhere. And it also means that the images are less likely to be used by 'everybody'. Helps your sites and projects to stand from the crowd! Oh, and no, Google can't read what is shown in images, but Google can determine if the same pixel combination has been used on a zillion of other websites or not ... just saying. Have a look around this article, all the images here come directly from the Kozzi website without me having manipulated / enhanced them in any way. The only thing I did to them was to reduce their size! The images come in different sizes, from small for web to really large for big prints, downloading only the size you need can save you hard drive space and time. Or you can download the largest size available just in case you need it later - or simply download all sizes. As there are no download restrictions, it is completely up to you! Are Kozzi images model released / property released / generally safe to use? Yes, apart of those images that are clearly marked for 'editorial use only' each image that shows a person has also a note attached saying 'model release filed with Kozzi'. This means that the person pictured in the image or video is ok with his / her image being used in a commercial context. Are there restrictions to the use of Kozzi images? Only those of common sense ;-) Don't use the image of a person for anything that would show this person in a bad light and use editorial images only for editorial content. Recommended - Yes or No? 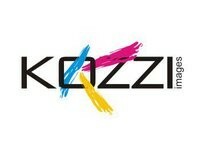 I recommend Kozzi to everybody that needs images, online or off line. The free account is sufficient for private aka non-commercial uses and the price for commercial use is hard to beat. The image quality is great and these are images you will not find anywhere else - giving you another advantage over your competition. Good SEO images are hard to find! Not much actually, I don't care a lot about their name, but that really doesn't affect their image quality ;-) Kozzi sounds too much like 'cozy' to me, and whilst they have 'cozy' images, they are also very professionally made! What is wrong with Public Domain images? They are free and you can use them however you want, so why do I prefer to pay for images? Are they really in the public domain? Unfortunately not all images on public domain sites have been uploaded and released by their original owners. There are actually quite a few reports of artists on the web that found their images 'mysteriously' appearing on this kind of sites. Kozzi's images are royalty free stock images that have been created exclusively for their site, so no worries about legalities here. Model releases are essential for using images of people, unless it is an editorial use obviously. Knowing that an image of a person I use on one of my own websites or on a client's one carries a proper and checked model release makes me sleep better at night - period. Public domain images are often limited in variety and styles, either because they are only about one topic . like NASA images - or because they are not especially created for a market but collected from different sources. For me, time is money, instead of searching through dozens of free or public domain sites for the image I need I prefer to pay a small amount to find the royalty free image I need on one site and in a short time. I discovered Kozzi couple of weeks ago and it is great site with bright future. I think 'model released' option is probably most valuable of all, because I found hard to find photos with real people in public domain. We'll see what will future bring but for now it can be only good to have more services with free or 'free' images!